The Xterra World Championships is the biggest event in the World Off Road Triathlon Calendar and the event was recently won by TORQ Fuelled, Spanish Athlete, Rubén Ruzafa. A huge congratulations to Ruben from everyone here at TORQ. Here is the full report from the race. 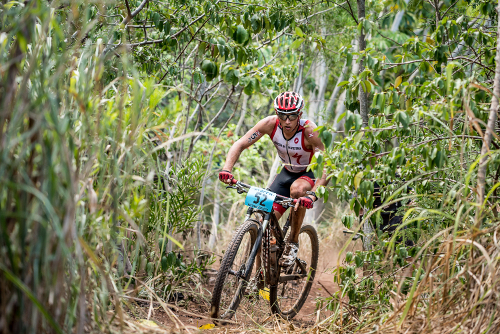 Back in 2008, a professional mountain biker unknown in the triathlon community, surprised the entire world by becoming the XTERRA World Champion. 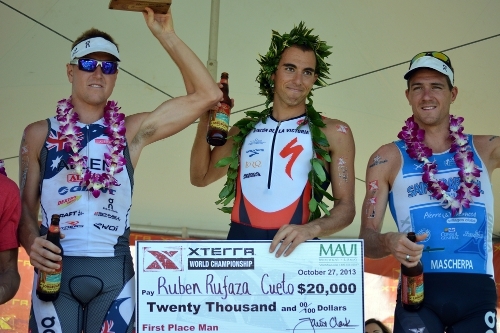 Five years later, Rubén Ruzafa has returned to Maui, now as a professional triathlete, to consolidate his status. 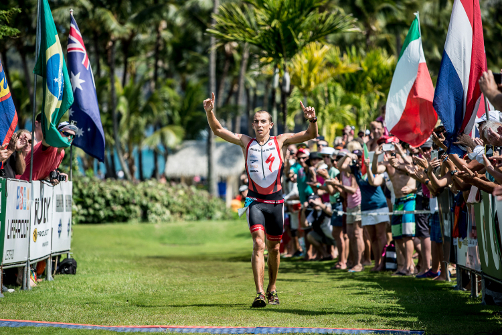 Ruzafa is the new XTERRA World Champion! The Spaniard (09.09.1984), supported by our Spanish distributor Sur Bikes, is the youngest ever XTERRA World Champion who has never finished an XTERRA event off the podium, and was one of the main contenders for this year’s title. Ruzafa came out of water nearly three minutes behind the top swimmers; a reasonable time difference to make up on his strongest discipline, the mountain bike segment. He completed the 32 km MTB course in barely one and a half hours and entered T2 45” ahead of the chasers. It was a matter of keeping the advantage during the 9.5 km run but, not happy with this, Ruzafa showed his amazing talent and opened a bigger difference (1’38”), crossing the mythical Hawaiian finish line in first position (2h34’34”). He was exhausted, smiling and pointing both arms up to the sky, shouting tribute to his former team mate and friend Iñaki Lejarreta, who was killed last winter while training with his road bike, and his father, who passed away due to cancer two years ago. keep my stride. I have only felt winner on the beach, from there on it was a about enjoying it!”. “I cannot describe my feelings when I reached the finish line. I have been dreaming with a new victory in the XTERRA World Championship since 2008. During the last years, my performance hasn’t been as expected, together with bad moments that life brings you. To me, this victory is a great reward but it isn’t only mine, it’s all those of you who helped me and supported me at some point. Thanks, each of you have pushed me to the finish line”. Ruzafa has had a sensational season, having won XTERRA Spain, XTERRA Berga and XTERRA Germany, gained second in XTERRA France and third in XTERRA USA, besides being the ITU Cross Triathlon runner-up and Spanish Cross Triathlon champion, as well as third at the middle distance national championship.